We’ll be demo-ing 3D filament, 3D pens, 3D printers, 3D scans — pretty much the full gamut of 3D printing! 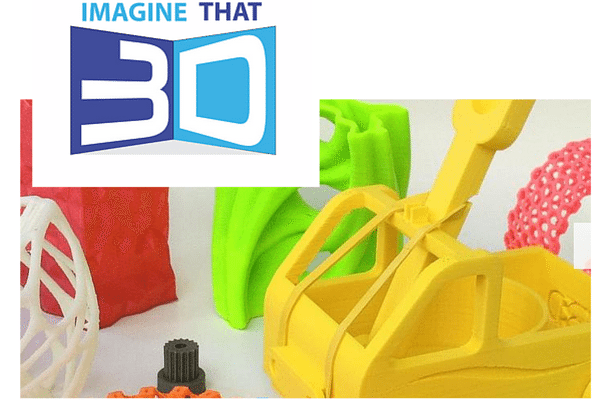 At Imagine That 3D, we harness 3D Printing to help everyone make and share designs with the world, making product design more accessible, personal, and inspiring. Watch your imagination come to life! We didn’t want to stop at the hardware though. We have built a community where you would have the needed tools and support to create in 3D to go along with your newly purchases hardware.